The thirteenth season of American Idol, styled as American Idol XIII, premiered on the Fox television network on January 15, 2014. Ryan Seacrest returned as host for his thirteenth season. Keith Urban was the only judge from the twelfth season to return. Former judge Jennifer Lopez, who returned after one season absence, and Harry Connick, Jr. joined the judging panel following the departures of Mariah Carey, Nicki Minaj and Randy Jackson. On May 21, Caleb Johnson was announced the winner of the season, with Jena Irene as runner-up. There were a number of other major changes in the season, from the judges to the format of the show itself including the opening intro, which used the "Gyroscope 2.0". On May 9, 2013, Randy Jackson announced that he would no longer serve as a judge. On May 30, 2013, Mariah Carey and Nicki Minaj also announced they would not return to the judging panel. On August 1, 2013, it was confirmed that Keith Urban would return as a judge for another season. Executive producers Nigel Lythgoe and Ken Warwick were succeeded by Per Blankens, previously of Idol, the Swedish version of the Idols format. On June 25, 2013, it was confirmed that producers Jesse Ignjatovic and Evan Prager would join Blankens as executive producers of the show. Bill DeRonde replaced Warwick as a director of the audition episodes, and Louis J. Horvitz also replaced Gregg Gelfand as a director of the show, who had been directing since the sixth season. Fox television executive Mike Darnell who helped launch American Idol in 2002 left as programming head of Fox, and Fox Sports executive David Hill was hired to oversee the series. Rickey Minor returned to the show as musical director after having left at the end of the ninth season to go to The Tonight Show with Jay Leno. In August 2013, Jennifer Lopez's boyfriend Casper Smart stated Lopez would be returning as an American Idol judge. On August 22, 2013, it was reported that Jimmy Iovine would not return as the in-house mentor for this season, but he is to be replaced by former judge Randy Jackson. On August 30, 2013, The Hollywood Reporter wrote that Harry Connick, Jr. signed a deal to join the panel as the third judge and that Simon Fuller held a party the night before with all three judges on hand to toast the forthcoming announcement. On September 3, 2013, Lopez and Connick Jr. were officially announced as judges for this season along with the confirmation of Jackson being the new mentor. Lopez is the first American Idol judge to return after leaving at the end of the eleventh season. It was also later reported that Idol alumni Adam Lambert and Chris Daughtry would be assisting Jackson in mentoring the contestants. In a rules change from past seasons, semifinalists from the twelfth season (but not previous seasons) who were not in the top 10, nor on the tour and the age limit past above 28, were eligible to return, provided they met all other requirements. That rule will also apply to this season's semi-finalists and finalists who were not in this season's top 10 next season. This season the viewers may also vote for their favorite contestants via Google Search, bringing the total number of ways the viewers can vote to five (the other four methods were by phone, texting, supervote online on americanidol.com and with American Idol App on mobile devices), with the number of votes limited to 50 for each method of voting. This season AT&T ended their sponsorship and it is therefore possible to text-votes with other service providers. Idol teamed up with Facebook to present "on-air visualizations" showing real-time East Coast voting developments, including live "demographic voting trends and relative contestant rankings". Voting may also start as soon as the performance shows start this season, and real time vote rankings were shown while the show is still in progress, and each contestant were assigned the same telephone number all through the competition. In addition, special audition bus tours were held in Little Rock, Arkansas; Oxford, Mississippi; Tuscaloosa, Alabama; Knoxville, Tennessee; and Winston-Salem, North Carolina. Those chosen proceeded on to Salt Lake City to audition in front of the judges. An auditioner this season was Tristen Langley, son of first season's third-placed finalist Nikki McKibbin, who made history as the first of the second-generation contestants on American Idol. He was eliminated in the "Hollywood or Home" round. A special "Hollywood or Home" round was introduced this season whereby contestants were eliminated soon after they have landed in LAX airport before they even reached Hollywood. 52 contestants the judges were uncertain of performed solo in an airplane hangar, and 32 were sent back to the airport. The 160 contestants left then proceeded on to Hollywood and performed solo in the Dolby Theatre in groups of ten. After this round, 104 contestants remained where they performed in groups of three or four. 77 contestants went through to a further solo round. The Hollywood rounds ended with a Top 30 being announced on February 12 and 13, 2014. However, a new twist was added and the judges chose only 15 girls and 14 boys, with the "15th boy" to be chosen by the voting public. The options were Ben Briley or Neco Starr. The result of the vote and the name of the public's choice to complete the Top 30 was announced on February 18. And it was Ben Briley who had made into the Top 30. The aforementioned contestants and three finalists outside of the top 10 will be eligible to audition for the fourteenth season. Casey Thrasher auditioned for the fourteenth season, but he was cut at top 48. Bria Anai, Jordan Brisbane, Ethan Harris, Briston Maroney, Maurice Townsend, Marrialle Sellars, and Emmanuel Zidor auditioned for the fourteenth season, but they were cut before they could see the judges. The semi-finals round started on February 18. The three-day event on February 18, 19 and 20 was marketed as "Rush Week." Below are the two semi-final groups (females and males) with contestants listed in their performance order. The top five males and top five females, along with the three wild card choices by the judges, advanced to the finals. In a change, the judges eliminated five of each gender before they even had a chance to perform in front of the live studio audience. The females started the semifinal round, and the males continued on following night's episode, and the contestants will perform songs of their choice (there was no particular theme). The "Rush Week" twist was not well received by critics. As described by Lyndsey Parker of Yahoo TV, "The other five just sat backstage for a couple hours (while their loved ones sat in the audience), waited in vain for their names to be called, and eventually went home." Following those ten singers advancing on Thursday, February 20, five of the remaining ten semi-finalists were selected by the judges to compete in the Wild Card round. The Wild Card round immediately began, following the announcement of the ten finalists. Following another performance by each Wild Card contender, the judges then selected three contestants to advance to the final group of 13. For their performances, the contestants prepared to reprise their third round Hollywood solos for consideration. Jena Irene and Spencer Lloyd each performed their own, respective original songs. Caleb Johnson (born April 23, 1991) is from Asheville, North Carolina. He previously auditioned in the tenth and eleventh seasons, but he was cut off during the selection of top 25. He auditioned in Atlanta where he performed an original song "Into the Void". In the Hollywood round he first performed "Sympathy for the Devil", followed a performance of "Too Close" in a group which included CJ Harris, and "Radioactive" for the last solo. He was announced as the winner on May 21. Johnson is the second returning contestant to win Idol after Candice Glover in the previous season. Jena Irene (born July 13, 1996) is from Farmington Hills, Michigan. She auditioned in Detroit with Adele's "Rolling in the Deep". She performed "Video Games" during the Hollywood for the first solo, Alex Clare's "Too Close" for the group round, and her own composition "Unbreakable Me" for the Final Judgement. She cites Paramore and Incubus as her greatest musical influences. She is the first female Wild Card contestant and the second Wild Card contestant after Clay Aiken in the second season to have made it to the Grand Finale. She was announced as the runner-up. Alex Preston (born May 6, 1993) is from Mont Vernon, New Hampshire. He performed an original song "Fairytales" for his audition. During Hollywood week, he performed "Scream and Shout" for the first solo, and his own composition "Fairytales" for the final solo. He was eliminated on May 15, 2014, and came in third place. Prior to his elimination, Preston had never been in the bottom 3 or in the bottom 2 before. Jessica Meuse (born October 19, 1990 in Round Rock, Texas) is from Slapout, Alabama. She auditioned in Atlanta singing one of her own songs, "Blue-Eyed Lie". She reprised the song for the top 8 and sung another original, "Done", during Hollywood Week. 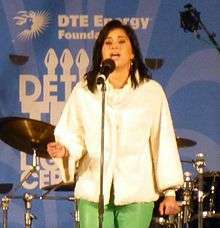 Prior to auditioning she had written over sixty original songs and self-released a debut album, called "What's So Hard About Bein' a Man", in 2011. She was eliminated on May 8, coming in fourth place. Sam Woolf (born April 19, 1996) is from Bradenton, Florida. He auditioned in Boston, singing "Lego House" by Ed Sheeran. He sang "Waiting on the World to Change" on the first round in Hollywood, and his original composition entitled "I Tried" in the final solo of the Hollywood Round. He was saved from elimination by the judges after receiving the lowest number of votes in the top eight round. He was eliminated on May 1, coming in fifth place. CJ Harris (born January 28, 1991) is from Jasper, Alabama. He auditioned in Salt Lake City, where he sang "Soulshine". He performed "Trouble" in the first Hollywood round, and was in a group with fellow finalist Caleb Johnson, performing the Alex Clare song "Too Close". For the final solo he performed "Bring It On Home to Me", however, he was asked to perform again in the Final Judgement to compete against Casey Thrasher, and chose to sing "Whipping Post". He was eliminated on April 24, coming in sixth place. Dexter Roberts (born July 12, 1991) is from Fayette, Alabama. He performed "Drive" for his audition, and for the group round he was part of the group Backstreet Cowboys together with Casey Thrasher and fellow finalist Ben Briley, performing the song "I Want It That Way". For the final solo he performed an original song, "Farmer's Grandson". He was eliminated on April 17, 2014, coming in seventh place. Malaya Watson (born September 24, 1997) is from Southfield, Michigan. She is a tuba player of the marching band of Southfield High School. She auditioned in Detroit with Aretha Franklin's "Ain't No Way". In the first round in Hollywood, she sang "Brand New Me" by Alicia Keys. She performed "I Believe" in the final solo on Hollywood round. She cites her two grandfathers and her father as her personal musical influences. She described her style in singing from Sly Stone and Beyoncé. She is the second youngest contestant in American Idol history that has reached the live show, next to tenth season contestant, Thia Megia. She was eliminated on April 10, coming in eighth place. Majesty Rose (born February 29, 1992) is from Goldsboro, North Carolina. She auditioned in Atlanta, where she sang Coldplay's "Violet Hill". Prior on auditioning, she was a pre-school teacher and she graduated in Eastern Wayne High School on 2011. In Hollywood, she performed "1234" and "Stars". She was eliminated on March 27, coming in ninth place. MK Nobilette (born August 20, 1993) is from San Francisco, California. She auditioned in San Francisco with "If I Were Your Woman," and advanced to Hollywood, where she was one of many contestants who had to "sing for their lives," or get back on the plane home. For the Hollywood rounds she chose an Allen Stone song for the a cappella round, which was not aired. She performed "Royals in the group round. For her final Hollywood solo she did "The A Team" by Ed Sheeran. She is the first openly gay finalist to be publicly acknowledged on the show. [note 1] She was eliminated on March 20, 2014, and came in tenth place. She also did not appear or sing in the live finale, due to being ill at that time. Ben Briley (born March 19, 1989) is from Gallatin, Tennessee. He auditioned in Atlanta, singing "Arms of a Woman". He performed "Stars" in the final solo of the Hollywood Round, and was in a group called Backstreet Cowboys with fellow finalist Dexter Roberts, performing the Backstreet Boys song "I Want It That Way". Ben Briley and Neco Starr both appeared before the judges for the Final Judgement, however the judges could not decide who to choose, and sent both to a vote by fans, which was won by Briley. He was eliminated on March 13, coming in eleventh place. Emily Piriz (born January 28, 1996) is from Orlando, Florida. She auditioned in Atlanta, singing "Mamma Knows Best" by Jessie J. She sang "Nothing But the Water" on the first round in Hollywood. She performed "Stars" in the final solo of the Hollywood Round. Prior on joining this competition, she also auditioned in The X Factor USA. She cites Pink and Kelly Clarkson as her musical influences. She was eliminated on March 6, coming in twelfth place. Kristen O'Connor (born April 19, 1989) is from Sebastian, Florida. She auditioned in Atlanta, singing "Good Morning Heartache". She performed "Treasure" in the Hollywood group rounds with her fellow finalist, Sam Woolf. She performed "Unconditionally" on the Hollywood Rounds. She cites Christina Aguilera and Jessie J as her musical influences. Prior on joining this competition, she was a nurse. She was eliminated on February 27, coming in thirteenth place. She is the fifth wild card finalist to be the eliminated first in the finals, with her predecessors Leah LaBelle, Jasmine Murray, Ashthon Jones and Jeremy Rosado. In this season, there are 13 weeks of the finals and 13 finalists, with one finalist eliminated per week based on the American public's votes. Kelly Clarkson's "Breakaway" is used as the send-off song played when a contestant is eliminated, using the eliminated contestant's version of the song. Former judge Randy Jackson replaced Jimmy Iovine as the weekly mentor to the contestants. The finalists picked songs from Top 10 Billboard charts from 2011 to 2014. Starting this week, the studio versions of each contestant performance are available at iTunes. Top 9 – (I'm with the) Band! The finalists performed as lead singer of the show's band, singing songs of their choice. Group performance: "Clocks" / "(I Can't Get No) Satisfaction" / "My Songs Know What You Did in the Dark (Light Em Up)"
The finalists reprised the songs they performed when they first auditioned, with Jessica Meuse and Alex Preston each performing their own, respective original compositions. They also performed duets for the first time this season. Every finalist chose a song for each remaining contestant, who then selected one song choice to perform. The songs used for the duets and trios were not a product of the theme. For the first time in the competition, each finalist sang two songs each: one from the rock 'n' roll genre, and the other from the country genre. The finalists sang songs requested by the voting public. On results night, the contestants were given the option to choose to have no one eliminated this week, but to eliminate two contestants the following week. In order for this to happen, the decision had to be unanimous after anonymous voting. Since two of the contestants (Jena Irene and Alex Preston) wanted to see an elimination happen this week, Sam Woolf was revealed to be the contestant with the lowest total of votes and was eliminated. The finalists sang three rounds of songs about love: the first dealing with break-ups, the second dealing with personal dedications to others, and the third dealing with make-ups. The finalists sang two new songs chosen by the judges and in-house mentor Randy Jackson; the third was a reprisal of a previous performance, selected by the finalists' hometowns. Also, the performance show marked the series' 500th episode overall. This week, the final two contestants sang a song chosen by the show's creator, a song from their previous appearance on the show this season, and a coronation song for the winner. ^Note 1 Due to the judges using their one 'Judges' Save' per season, in order to save Woolf, the 'Top 8' remained intact for another week, and no one was eliminated at the end of the show on April 3. ^Note 2 During the 'Top 5' results show the remaining contestants were given the option by each taking an anonymous vote to either go by America's votes and send only one person home or if all votes were "yes" the 'Top 5' will remain intact for one more week and two contestants go home next week. The votes ended with two out of the five voting no. Without revealing the bottom 2, Ryan announced that Sam Woolf had received the lowest amount of votes and was eliminated. Harry Connick Jr. was lauded for his performance as a judge. USA Today, Rolling Stone, and MTV all claimed that he "stole the spotlight" during the season premiere with his humor and knowledgeable feedback. Kristin Dos Santos of E! Online suggested that Connick Jr. could save the struggling show. She called him better than Simon Cowell, writing that while he is "brutally honest", he also shows heart. Robert Rorke of the New York Post wrote that Connick Jr. was unlikely to "save" American Idol, but also wrote that he made the show watchable again by bringing class and keeping the focus on the contestants. For the first time in nearly twelve years, an American Idol episode dropped beneath the ten-million viewer mark. This occurred on February 18, 2014. The last time an episode was below this mark was July 24, 2002. Will Young, the 2002 winner of the inaugural Pop Idol contests on which all the other Idol series are based, never hid his being gay, but did come out publicly after he won, preempting a tabloid newspaper outing him. "Pop Idol Will: 'I'm gay'". BBC News. 10 March 2002. Retrieved 8 October 2009. Jim Verraros (first season, 2002) had discussed being gay in online journals which the show forced him to take down, not due to his sexuality, but because they felt he might be trying to get extra votes. He came out after he finished the show and tour. "Idol gossip". The Advocate. 2002-09-03. Archived from the original on 2007-03-22. Retrieved 2007-07-18. , Steele, Bruce C. (2003-01-21). "A teen Idol's dreams". The Advocate. BNET Business Network. Vanessa Olivarez (season 2, 2003) came out to other contestants, behind the scenes, but not on the show.AI Aftermath: 12th place finishers by Jason Hughes, posted Mar 13th 2008. Clay Aiken, American Idol (season 2) (2003) runner-up came out as gay in 2008, after many years of speculation. Caplan, David (September 24, 2008). "Clay Aiken No More Secrets". People Magazine. Retrieved 2008-12-24. Adam Lambert, the runner-up on the eighth season (2009) came out as a gay man when he was 18. Caroline Frost (2012-07-27). "INTERVIEW: Adam Lambert - On The Gay Thing, American Idol And Taking His Place With Queen". Huffington Post. Batallones, Henrik (March 3, 2009). "American Idol 8: Adam Lambert Has Photos of Him Kissing Another Guy. Errr...". . The issue of Lambert's sexuality, however, was not explicitly stated on the show, and mainstream media therefore speculated on his sexuality and the readiness of American Idol voters to vote for an openly gay winner. Mark Harris (2009-05-08). "Adam Lambert: Shaking Up 'Idol'". Archived from the original on 2009-05-10. "Adam Lambert: America's First gay 'Idol'?". He confirmed that he was gay in a Rolling Stone cover interview shortly after he was named runner-up. Blas, Lorena (2009-06-15). "Idol Adam Lambert 'comes out' in print". Retrieved 2011-12-23. ↑ Taylor, Frances (October 25, 2013). "'American Idol' new season premiere date announced by Fox". Digital Spy. Hearst Magazines UK. Retrieved October 25, 2013. ↑ Slezak, Michael (2013-05-09). "Randy Jackson Quitting 'American Idol' at the End of Season 12". TVLine. Retrieved 2014-05-21. ↑ Andy Swift (2013-05-30). "Mariah Carey Leaving 'American Idol' — Planning World Tour". Hollywood Life. Retrieved 2014-05-21. ↑ Jenny Pickard (2013-05-30). "Nicki Minaj Quits 'American Idol' — Judge Leaves To Focus On The Music". Hollywood Life. Retrieved 2014-05-21. ↑ Bricker, Tierney (August 1, 2013). "Keith Urban Returning to American Idol, Jennifer Lopez in Talks to Return, Fox Boss Confirms". E! News. Retrieved August 25, 2013. ↑ "'American Idol' Names New Executive Producer". The Hollywood Reporter. Prometheus Global Media. June 10, 2013. ↑ Andreeva, Nellie (June 25, 2013). "'American Idol' Adds 2 Executive Producers". Deadline. ↑ "Louis J. Horvitz To Direct 'American Idol' This Season". Deadline. December 19, 2013. ↑ Halperin, Shirley (June 5, 2013). "Fox Taps David Hill to Oversee 'American Idol,' 'X Factor'". The Hollywood Reporter. Prometheus Global Media. Retrieved June 13, 2013. ↑ Halperin, Shirley (November 21, 2013). "'American Idol': Rickey Minor Returning as Musical Director (Exclusive)". The Hollywood Reporter. ↑ Schwartz, Terri (August 16, 2013). "Jennifer Lopez back on 'American Idol,' says Casper Smart". Zap2it. Retrieved August 17, 2013. ↑ Rodney Ho (February 12, 2014). "'American Idol' limits voting for the first time". Access Atlanta. ↑ Michael Slezak (February 26, 2014). "American Idol Launching 'Google Voting' Tonight, and 'Facebook Voting Trends' Next Week". TV Line. ↑ "Season 13 Audition Cities Announced!". American idol. Fox Interactive Media. May 9, 2013. Retrieved May 17, 2013. ↑ Mark Shanahan and Meredith Goldstein (September 5, 2013). "'American Idol' judges run auditions in Boston". The Boston Globe. ↑ FOX 7, Austin (September 26, 2013). "'American Idol' judges talk Austin talent". FOX 7 Austin, Texas. ↑ Gary Gelfand (October 22, 2013). "'American Idol callbacks in San Francisco'". Fox 40 Sacramento Stockton Modesto. ↑ "'American Idol' judges in Detroit filming segments for 13th season". Detroit Free Press. October 9, 2013. ↑ "American Idol Atlanta callbacks happening in midtown". Fox5. October 29, 2013. ↑ Mark Green (October 2, 2013). "'American Idol judges visit SLC for callbacks'". Fox 13 News. ↑ FOX 42, Omaha (October 13, 2013). "'Idol Auditions come to Omaha' FOX 42". FOX 42 Omaha. ↑ "Season 13 Audition Bus Tour Information & FAQs" (PDF). americanidol.com. ↑ "'American Idol' auditions set to roll through Tuscaloosa Wednesday". Tuscaloosa News. August 20, 2013. ↑ Michele Amabile Angermiller (February 5, 2014). "American Idol Hollywood Week Kicks Off With Nikki McKibbin, Son Tristen Langley". Hollywood Reporter. ↑ Annie Barrett (February 6, 2014). "American Idol' recap: Hollywood Horror Story". Entertainment Weekly. ↑ "American Idol Judges Will Cut 10 Contestants Next Week!". American idol Net. February 14, 2014. ↑ ‘Idol’ Season 13 Goes Live: Rush Week, or Just Rushed and Weak? February 19, 2014. ↑ "'American Idol' Season 13: New Set Revealed". American idol. Fox Interactive Media. February 14, 2014. Retrieved February 15, 2014. ↑ Fred Bronson (March 20, 2014). "'American Idol' Season 13: Caleb Johnson Outlines His Rock 'n' Roll Childhood Education". The Hollywood Reporter. ↑ Fred Bronson (March 20, 2014). "'American Idol' Season 13: Jena Irene Stays Thankful for Middle School Breakups". The Hollywood Reporter. ↑ "Jena Irene". American Idol. 2013-07-22. Retrieved 2014-05-21. ↑ Fred Bronson (March 20, 2014). "American Idol' Season 13: Alex Preston Gets Feedback From His Country-Star Cousin". The Hollywood Reporter. ↑ Fred Bronson (March 20, 2014). "'American Idol' Season 13: Jessica Meuse Explains Her Songwriting Strategy". The Hollywood Reporter. ↑ Tatangelo, Wade (February 25, 2014). "'American Idol' finalist and Bradenton student Sam Woolf says confidence will show: interview". Sarasota Herald-Tribune. Retrieved 27 February 2014. ↑ Fred Bronson (March 20, 2014). "'American Idol' Season 13: C.J. Harris Was Introduced to Music by His Grandfather". The Hollywood Reporter. ↑ Fred Bronson (March 20, 2014). "'American Idol' Season 13: Dexter Roberts First Practiced on a Plastic Guitar". The Hollywood Reporter. ↑ Fred Bronson (March 20, 2014). "'American Idol' Season 13: Malaya Watson Is the Youngest Finalist in Series History". The Hollywood Reporter. ↑ "Road to Hollywood: Malaya Watson - American Idol Season XIII". YouTube. 2014-01-22. Retrieved 2014-04-09. ↑ Fred Bronson (March 20, 2014). "American Idol' Season 13: Majesty Rose Reflects on Her Lucky Disney World Vacation". The Hollywood Reporter. ↑ Fred Bronson (March 20, 2014). "'I wouldn't have auditioned if my girlfriend wasn't there,' Nobilette told THR.". The Hollywood Reporter. ↑ MK Nobilette Says American Idol Coming Out Response Mostly Positive, Pacific Rim Video. ↑ American Idol Ben Briley, Show premiered January 15, 2014. ↑ , according to a show tweet they were all from 2011-2014. ↑ Slezak, Michael (2014-03-20). "'American Idol': Top 9 Theme Week Is 'I'm With the Band' — Get Details!". TVLine. Retrieved 2014-04-09. ↑ 03/27/2014 (2014-03-27). "American Idol 2014 Top 8 First Audition Theme, Daughtry to Perform". Mjsbigblog.com. Retrieved 2014-04-09. ↑ Slezak, Michael (2014-04-10). "'American Idol' Top 7 Week Theme: Competitors' Picks!". TVLine. Retrieved 2014-05-21. ↑ Swift, Andy (2014-04-17). "'American Idol' Top 6 Week Theme — Country And Rock & Roll". TVLine. Retrieved 2014-05-21. ↑ "It's America's Choice Week!". American Idol. 2013-07-22. Retrieved 2014-05-21. ↑ Slezak, Michael (2014-05-01). "'American Idol': Top 4 Theme Week Is Break-Ups/Make-Ups — Get Details!". TVLine. Retrieved 2014-05-21. ↑ Slezak, Michael (2014-05-08). "American Idol Exclusive: Top 3 Week Details — Find Out Who's in Charge of Song Choice!". TVLine. Retrieved 2014-05-21. 1 2 "'American Idol' Cuts Out The Fat: Find Out Who Made The Top 13". MTV. February 21, 2014. Retrieved February 22, 2014. 1 2 Gary Trust (March 14, 2014). "Chart Moves: Avicii, The Chainsmokers Burn Up Dance Charts; Coldplay Makes 'Magic' On Hot 100, Hot Rock Songs; The Pretty Reckless Rules Mainstream Rock". Billboard. ↑ Fred Bronson (March 24, 2014). "'American Idol' on the Charts: Harry Connick Jr., Jennifer Lopez and Keith Urban All Rise". The Hollywood Reporter. ↑ Fred Bronson (March 28, 2014). "American Idol' on the Charts: Jennifer Lopez Doubles Down With Two Rising Hits". The Hollywood Reporter. ↑ Wade Jessen (May 8, 2014). "Keith Urban's 'Fuse' Surges on Country Albums Chart After 'Idol' Performance". Billboard. ↑ Good news and Bad for SCOTTY fans! ↑ Matt Bjorke (May 28, 2014). "Country Chart News: The Top 30 Digital Singles For May 28, 2014". Roughstock. ↑ Tanya Diente (May 5, 2014). "Caleb Johnson of 'American Idol' Sorry For 'Retard' Comment, Fans Voting Him Out?". International Business Times. ↑ Monica Drake (May 5, 2014). "Ortonville native's 'American Idol' interview goes viral". Daily Tribune. ↑ "Caleb Johnson | America Idol Top 5 Elimination Red Carpet Interview | AfterBuzzTV". YouTube. 2014-05-02. Retrieved 2014-05-21. ↑ Bruce C. Steele (May 4, 2014). "'Idol's' Caleb Johnson apologizes for offensive remark". Citizen Times. ↑ Rodney Ho (May 5, 2014). "Past 'Idol' winners possessed humbleness and gratefulness, not arrogance". Access Atlanta. ↑ Mimi Heimbrod (May 4, 2014). "American Idol' Top 4 Contestant Caleb Johnson Called His Fans 'Retards' and Apologizes For It [WATCH]". Fashion Times. ↑ Lyndsey Parker (May 4, 2014). "'American Idol' Finalist Caleb Johnson Apologizes for Slur". Yahoo Music. ↑ "Caleb Johnson - For the record that juvenile comment I...". Facebook. Retrieved 2014-05-21. ↑ Ann Oldenburg (January 17, 2014). "Harry Connick Jr. steals 'American Idol' spotlight". USA Today. Retrieved May 16, 2014. ↑ Katy Kroll (January 16, 2014). "Harry Connick, Jr. Steals the 'American Idol' Spotlight". Rolling Stone. Retrieved May 16, 2014. ↑ Sophie Schillaci (January 15, 2014). "13 Times Harry Connick Jr. Stole The 'American Idol' Spotlight". MTV. Retrieved May 16, 2014. ↑ Kristin Dos Santos (January 13, 2014). "Six Reasons Harry Connick Jr. Will Save American Idol". E! Online. Retrieved May 16, 2014. ↑ Robert Rorke (January 27, 2014). "Harry Connick Jr. makes 'Idol' watchable again". New York Post. Retrieved May 16, 2014. ↑ Kondolojy, Amanda (January 16, 2014). "Wednesday Final Ratings: 'American Idol' Adjusted Up; 'Law and Order: SVU', 'The Tomorrow People' & 'Super Fun Night' Adjusted Down". TV by the Numbers. ↑ Daniel Fienberg (January 16, 2014). "TV Ratings: 'American Idol' drops 23 percent in Season 13 Wednesday premiere". Hitfix. 1 2 Bibel, Sara (January 22, 2014). "TV Ratings Broadcast Top 25: 'NFC Championship' Tops Week 17 With Adults 18-49 and Total Viewers". TV by the Numbers. ↑ Kondolojy, Amanda (January 17, 2014). "Thursday Final Ratings: 'American Idol' Adjusted Up; No Adjustment for 'The Michael J. Fox Show' or 'Community'". TV Ratings: 'American Idol,' 'Michael J. Fox Show' post ugly Thursday drops. ↑ Daniel Fienberg (January 17, 2014). "TV Ratings: 'American Idol' drops 23 percent in Season 13 Wednesday premiere". Hitfix. ↑ Bibel, Sara (January 23, 2014). "Wednesday Final Ratings: 'Arrow' & 'The Middle' Adjusted Up; 'Modern Family' Adjusted Down". TV by the Numbers. ↑ Rick Porter (January 23, 2014). "TV ratings: 'American Idol' tops Wednesday, 'Modern Family' and 'SVU' rise". Zap2it. 1 2 Kondolojy, Amanda (January 28, 2014). "TV Ratings Broadcast Top 25: Grammy Awards Tops Week 18 With Adults 18-49 and Total Viewers". TV by the Numbers. ↑ Bibel, Sara (January 24, 2014). "Thursday Final Ratings: 'The Vampire Diaries' & 'American Idol' Adjusted Up; 'Reign' Adjusted Down". TV by the Numbers. ↑ Alan Sepinwall (January 24, 2014). "TV ratings: 'Rake' premiere OK; 'Vampire Diaries' up for 100th episode". Zap2It. ↑ Rick Porter (January 30, 2014). "TV ratings: 'American Idol' dips a little but easily wins Wednesday". Zap2it. ↑ Kondolojy, Amanda (January 30, 2014). "Wednesday Final Ratings: 'Arrow', 'Law and Order: SVU' & 'The Tomorrow People' Adjusted Up". TV by the Numbers. 1 2 Bibel, Sara (February 4, 2014). "TV Ratings Broadcast Top 25: Super Bowl Tops Week 19 With Adults 18-49 and Total Viewers". TV by the Numbers. ↑ Rick Porter (January 31, 2014). "TV ratings: 'Big Bang Theory' falls but dominates Thursday, 'Idol' dips slightly". Zap2it. ↑ Kondolojy, Amanda (January 31, 2014). "Thursday Final Ratings: 'Big Bang Theory', 'American Idol', 'The Taste', 'Vampire Diaries', 'Parks & Recreation', 'Two and a Half Men' Adjusted Up; 'The Millers', 'Elementary', & Reign' Adjusted Down". TV by the Numbers. ↑ Rick Porter (February 6, 2014). "TV ratings: 'Criminal Minds' 200th episode and 'American Idol' rise Wednesday". Zap2it. ↑ Bibel, Sara (February 6, 2014). "Wednesday Final Ratings: 'Super Fun Night' Adjusted Down". TV by the Numbers. 1 2 Kondolojy, Amanda (February 11, 2014). "TV Ratings Broadcast Top 25: Winter Olympics Opening Ceremony Tops Week 20 With Adults 18-49 and Total Viewers". TV by the Numbers. ↑ Rick Porter (February 7, 2014). "TV ratings: Winter Olympics give NBC a win, 'Big Bang Theory' holds up well Thursday". Zap2it. ↑ Bibel, Sara (February 7, 2014). "Thursday Final Ratings: 'The Big Bang Theory', 'American Idol', 'Two and a Half Men' & the Olympics Adjusted Up; 'The Millers' Adjusted Down". TV by the Numbers. ↑ Rick Porter (February 13, 2014). "TV ratings: Winter Olympics fall, 'American Idol' best of the rest Wednesday". Zap2it. ↑ Kondolojy, Amanda (February 14, 2014). "Wednesday Final Ratings: No Adjustment for 'Super Fun Night' or 'American Idol' + Final Olympics Ratings". TV by the Numbers. 1 2 Bibel, Sara (February 19, 2014). "TV Ratings Broadcast Top 25: Winter Olympics Tops Week 21 With Adults 18-49 and Total Viewers". TV by the Numbers. ↑ Rick Porter (February 17, 2014). "TV ratings: 'American Idol' steady Thursday, Olympics rise a little". Zap2it. ↑ "Thursday Final Ratings: 'American Idol' Adjusted Up - Ratings | TVbytheNumbers". Tvbythenumbers.zap2it.com. February 18, 2014. ↑ Rick Porter (February 19, 2014). "TV ratings: Winter Olympics and 'American Idol' both slip Tuesday". Zap2it. ↑ Bibel, Sara (February 20, 2014). "Tuesday Final Ratings: Olympics Adjusted Up". TV by the Numbers. 1 2 3 Kondolojy, Amanda (February 25, 2014). "TV Ratings Broadcast Top 25: Winter Olympics Tops Week 22 With Adults 18-49 and Total Viewers". TV by the Numbers. ↑ Rick Porter (February 20, 2014). "TV ratings: Olympics up slightly Wednesday, 'American Idol' steady but low". Zap2it. ↑ Bibel, Sara (February 20, 2014). "Wednesday Final Ratings: 'Criminal Minds' Adjusted Up". TV by the Numbers. ↑ Rick Porter (February 21, 2014). "TV ratings: Winter Olympics slip a little Thursday, 'Idol' results down too". Zap2it. ↑ Bibel, Sara (February 21, 2014). "Thursday Final Ratings: The Olympics Adjusted Up". TV by the Numbers. ↑ Rick Porter (February 27, 2014). "TV ratings: 'Mixology' opens modestly Wednesday, 'Chicago PD' scores a series high". Zap2it. ↑ Kondolojy, Amanda (February 27, 2014). "Wednesday Final Ratings: 'American Idol' & 'Nashville' Adjusted Up; 'Survivor', 'The Middle', 'Mixology', 'Suburgatory' & 'Criminal Minds' Adjusted Down". TV by the Numbers. 1 2 Bibel, Sara (March 4, 2014). "TV Ratings Broadcast Top 25: Oscars Top Week 23 With Adults 18-49 and Total Viewers". TV by the Numbers. ↑ Andrea Reiher (February 28, 2014). "TV ratings: 'Big Bang Theory' wins Thursday for CBS; 'Two and a Half Men' up in timeslot change". Zap2it. ↑ Kondolojy, Amanda (February 28, 2014). "Thursday Final Ratings: 'The Big Bang Theory', 'Scandal', 'Grey's Anatomy', 'American Idol' & 'Parks & Recreation' Adjusted Up; 'The Millers' Adjusted Down". TV by the Numbers. ↑ Rick Porter (March 6, 2014). "TV ratings: 'American Idol' and 'Modern Family' rise Wednesday, 'Arrow' slips". Zap2it. ↑ Bibel, Sara (March 6, 2014). "Wednesday Final Ratings: 'Modern Family', 'Mixology' & 'Nashville' Adjusted Up". TV by the Numbers. 1 2 Kondolojy, Amanda (March 11, 2014). "TV Ratings Broadcast Top 25: 'The Big Bang Theory' Tops Week 24 With Adults 18-49 and Total Viewers". TV by the Numbers. ↑ Rick Porter (March 7, 2014). "TV ratings: 'Big Bang Theory' rises Thursday but 'Scandal' and 'Grey's Anatomy' fall". Zap2it. ↑ Bibel, Sara (March 7, 2014). "Thursday Final Ratings: 'The Big Bang Theory', 'Once Upon A Time in Wonderland', 'Parks and Recreation' & 'Elementary' Adjusted Up; 'The Millers' & 'Two and a Half Men' Adjusted Down". TV by the Numbers. ↑ Rick Porter (March 13, 2014). "TV ratings: 'Survivor' beats 'American Idol' head-to-head Wednesday". Zap2it. ↑ Kondolojy, Amanda (March 13, 2014). "Wednesday Final Ratings: 'The Middle', 'Suburgatory' & 'Modern Family' Adjusted Up". TV by the Numbers. 1 2 Bibel, Sara (March 18, 2014). "TV Ratings Broadcast Top 25: 'The Big Bang Theory' Tops Week 25 With Adults 18-49 and Total Viewers". TV by the Numbers. ↑ Terri Schwartz (March 14, 2014). "TV ratings: 'Big Bang Theory' tops night, 'American Idol' down in time slot change". Zap2it. ↑ Kondolojy, Amanda (March 14, 2014). "Thursday Final Ratings: 'Hell's Kitchen', 'Parks and Recreation' & 'Scandal' Adjusted Up; 'Reign', 'The Crazy Ones', 'Two and a Half Men' and 'The Millers' Adjusted Down". TV by the Numbers. ↑ Rick Porter (March 20, 2014). "TV ratings: 'The 100' starts strong for The CW, 'Survivor' tops 'American Idol' Wednesday". Zap2it. ↑ Bibel, Sara (March 20, 2014). "Wednesday Final Ratings: 'Survivor' Adjusted Up; No Adjustment for 'The 100'". TV by the Numbers. 1 2 Amanda Kondolojy (March 28, 2014). "TV Ratings Broadcast Top 25: 'The Voice' Tops Week 26 With Adults 18-49; 'NCIS' Leads Total Viewers". TV by the Numbers. ↑ "TV ratings: 'Scandal' leads Thursday as 'American Idol' and NCAA tournament fall". Zap2it. March 21, 2014. ↑ Sara Bibel (March 21, 2014). "Thursday Final Ratings: 'The Vampire Diaries', 'American Idol', 'Hell's Kitchen' & 'Parenthood' Adjusted Up Plus Final NCAA Tournament Numbers". TV by the Numbers. ↑ Andrea Reiher (March 27, 2014). "TV ratings: 'Survivor' beats 'American Idol' again; 'Mixology' up, 'The 100' dips slightly". Zap2it. ↑ Kondolojy, Amanda (March 27, 2014). "Wednesday Final Ratings: 'American Idol', 'Modern Family' & 'Suburgatory' Adjusted Up; 'Mixology' Adjusted Down". TV by the Numbers. 1 2 Sara Bibel (April 1, 2014). "TV Ratings Broadcast Top 25: 'The Voice' Tops Week 27 With Adults 18-49; 'NCIS' Leads Total Viewers". TV by the Numbers. ↑ Andrea Reiher (March 28, 2014). "TV ratings: 'Surviving Jack' premiere soft; CBS wins with Sweet 16 NCAA games". Zap2it. ↑ Kondolojy, Amanda (March 28, 2014). "Thursday Final Ratings: 'Hell's Kitchen', 'Once Upon a Time in Wonderland', 'The Vampire Diaries' & 'Grey's Anatomy Adjusted Up + Final NCAA Basketball Ratings". TV by the Numbers. ↑ Rick Porter (April 3, 2014). "TV ratings: 'Survivor' and 'Criminal Minds' each beat 'American Idol' Wednesday". Zap2it. ↑ Bibel, Sara (April 3, 2014). "Wednesday Final Ratings: 'Survivor', 'The Middle', 'Suburgatory', 'Modern Family' & 'Criminal Minds' Adjusted Up; 'CSI' Adjusted Down". TV by the Numbers. 1 2 Sara Bibel (April 8, 2014). "TV Ratings Broadcast Top 25: 'How I Met Your Mother' Tops Week 28 With Adults 18-49; 'The Big Bang Theory' Leads Total Viewers". TV by the Numbers. ↑ Rick Porter (April 4, 2014). "TV ratings: 'Big Bang Theory,' 'The Millers' drive CBS to victory Thursday". Zap2it. ↑ Bibel, Sara (April 4, 2014). "Thursday Final Ratings: 'The Big Bang Theory', 'Grey's Anatomy', 'Scandal' & 'Hell's Kitchen' Adjusted Up; 'American Idol', 'The Millers', 'The Crazy Ones' & 'Elementary' Adjusted Down". TV by the Numbers. ↑ Rick Porter (April 10, 2014). "TV ratings: 'Survivor' leads CBS sweep Wednesday as 'American Idol' holds steady". Zap2it. ↑ Amanda Kondolojy (April 10, 2014). "Wednesday Final Ratings: 'Law and Order: SVU' & 'Mixology' Adjusted Up; No Adjustment for 'The 100'". Zap2it. 1 2 Sara Bibel (April 15, 2014). "TV Ratings Broadcast Top 25: NCAA Basketball Championship Tops Week 29 With Adults 18-49 & Total Viewers". Zap2it. ↑ "TV ratings: 'Scandal' rises Thursday, 'Big Bang Theory' down but still dominant". Zap2it. April 11, 2014. ↑ Kondolojy, Amanda (April 11, 2014). "Thursday Final Ratings: 'Community', 'Grey's Anatomy', 'Shark Tank', 'The Big Bang Theory' & 'American Idol' Adjusted Up; 'The Millers' & 'Elementary ' Adjusted Down". TV by the Numbers. ↑ "TV ratings: 'Survivor' and 'American Idol' lead a rerun-heavy Wednesday". Zap2it. April 17, 2014. ↑ Bibel, Sara (April 18, 2014). "Thursday Final Ratings: 'Grey's Anatomy' Adjusted Up". TV by the Numbers. 1 2 "TV Ratings Broadcast Top 25: 'Scandal' & 'The Voice' Top Week 30 With Adults 18-49; 'NCIS' Leads Total Viewers". Zap2it. April 22, 2014. ↑ "TV ratings: 'Scandal' goes out on a high note, 'Community' and 'Parenthood' finales rise". Zap2it. April 18, 2014. ↑ Bibel, Sara (April 17, 2014). "Wednesday Final Ratings: 'Survivor' Adjusted Up; 'The 100' Adjusted Down". TV by the Numbers. ↑ "TV ratings: 'American Idol' improves Wednesday, 'Modern Family' tops 18-49 demo". Zap2it. April 24, 2014. ↑ Kondolojy, Amanda (April 24, 2014). "Wednesday Final Ratings: 'Survivor', 'The Middle', 'Suburgatory' & 'Modern Family' Adjusted Up". TV by the Numbers. 1 2 Sara Bibel (April 22, 2014). "TV Ratings Broadcast Top 25: 'The Big Bang Theory' Tops Week 31 With Adults 18-49 & Total Viewers". Zap2it. ↑ "TV ratings: 'Bad Teacher' has a decent start for CBS, 'Black Box' so-so for ABC". Zap2it. April 25, 2014. ↑ Kondolojy, Amanda (April 25, 2014). "Thursday Final Ratings: 'The Big Bang Theory' & 'The Vampire Diaries' Adjusted Up; 'The Millers' Adjusted Down". TV by the Numbers. ↑ Rick Porter (May 2, 2014). "TV ratings: 'Modern Family' tumbles Wednesday, 'Chicago PD' gets a boost". Zap2it. ↑ Bibel, Sara (May 1, 2014). "Wednesday Final Ratings: 'Survivor', 'American Idol' & 'Suburgatory' Adjusted Up; 'Revolution' & 'CSI' Adjusted Down". TV by the Numbers. 1 2 Amanda Kondolojy (May 6, 2014). "TV Ratings Broadcast Top 25: 'The Big Bang Theory' Tops Week 32 With Adults 18-49; 'NCIS' With Total Viewers". TV by the Numbers. ↑ Rick Porter (May 2, 2014). "TV ratings: 'Grey's Anatomy' up Thursday but 'Black Box' and 'Bad Teacher' slip". Zap2it. ↑ Bibel, Sara (May 2, 2014). "Thursday Final Ratings: 'The Vampire Diaries' & 'The Big Bang Theory' Adjusted Up; 'The Millers' & 'Bad Teacher' Adjusted Down". TV by the Numbers. ↑ Rick Porter (May 8, 2014). "TV ratings: 'Survivor' and 'CSI' finale up Wednesday, 'SVU' and 'Arrow' drop". Zap2it. ↑ Kondolojy, Amanda (May 8, 2014). "Wednesday Final Ratings: 'The Middle', 'Arrow', 'American Idol', 'Modern Family', 'Law & Order: SVU' & 'Suburgatory' Adjusted Up". TV by the Numbers. 1 2 Sara Bibel (May 13, 2014). "TV Ratings Broadcast Top 25: 'The Big Bang Theory' Tops Week 33 With Adults 18-49; 'NCIS' With Total Viewers". TV by the Numbers. ↑ Rick Porter (May 9, 2014). "TV ratings: 'Big Bang Theory' hits season low but tops a soft Thursday". Zap2it. ↑ Kondolojy, Amanda (May 9, 2014). "Thursday Final Ratings: 'Grey's Anatomy', 'The Big Bang Theory' & 'Black Box' Adjusted Up; 'The Millers' Adjusted Down". TV by the Numbers. ↑ Rick Porter (May 15, 2014). "TV ratings: 'American Idol,' 'Modern Family' and 'Criminal Minds' finale all up Wednesday". Zap2it. ↑ Bibel, Sara (May 15, 2014). "Wednesday Final Ratings: 'Revolution', 'Arrow', 'Survivor', 'Suburgatory', 'Modern Family' & 'Law & Order: SVU' Adjusted Up; 'Chicago P.D.' Adjusted Down". TV by the Numbers. 1 2 Kondolojy, Amanda (May 20, 2014). "TV Ratings Broadcast Top 25: 'The Big Bang Theory' Tops Week 34 With Adults 18-49; 'NCIS' With Total Viewers". TV by the Numbers. ↑ Rick Porter (May 16, 2014). "TV ratings: 'Big Bang Theory' finale dominates Thursday, 'Vampire Diaries' and 'Idol' up". Zap2it. ↑ Bibel, Sara (May 16, 2014). "Thursday Final Ratings: 'The Big Bang Theory' & 'Grey's Anatomy' Adjusted Up; 'Reign' & 'The Millers' Adjusted Down". TV by the Numbers. ↑ Rick Porter (May 21, 2014). "TV ratings: 'The Voice' finale tops 'DWTS' Tuesday, 'I Wanna Marry Harry' tanks". Zap2it. ↑ Kondolojy, Amanda (May 21, 2014). "Tuesday Final Ratings: 'Dancing With the Stars: Road to the Finals' Adjusted Up". TV by the Numbers. ↑ Rick Porter (May 22, 2014). "TV ratings: 'Modern Family' finale leads Wednesday, 'American Idol' has lowest finale ever". Zap2it. ↑ Kondolojy, Amanda (May 22, 2014). "Wednesday Final Ratings: 'Survivor', 'The Middle' & 'Modern Family' Adjusted Up; 'Survivor' Reunion Adjusted Down". TV by the Numbers. ↑ Bibel, Sara (January 20, 2014). "Live + 3 Ratings: 'American Idol' Premiere Draws Higher Percentage Gains, Narrows Gap Vs. Last Year". TV by the Numbers. 1 2 Bibel, Sara (February 3, 2014). "Live+7 DVR Ratings: 'Modern Family' Has Biggest 18-49 Ratings Gain, 'Beauty & the Beast' Tops Percentage Gains & 'The Blacklist' Leads in Total Viewer Increase in Week 17". TV by the Numbers. 1 2 Kondolojy, Amanda (February 10, 2014). "Live+7 DVR Ratings: 'Modern Family' Has Biggest 18-49 Ratings Gain, 'The Blacklist' Tops Percentage & Total Viewer Increase in Week 18". TV by the Numbers. 1 2 Bibel, Sara (February 18, 2014). "Live+7 DVR Ratings: 'The Big Bang Theory' Has Biggest 18-49 Ratings Gain, 'Beauty and the Beast' Tops Percentage Gain & 'The Blacklist' Has Largest Total Viewer Increase in Week 19". TV by the Numbers. 1 2 Kondolojy, Amanda (February 24, 2014). "Live+7 DVR Ratings: 'The Big Bang Theory' Has Biggest 18-49 Ratings Gain & Total Viewer Increase + 'Nashville' Tops Percentage Gain in Week 20". TV by the Numbers. 1 2 "Live+7 DVR Ratings: 'The Following' Has Biggest 18-49 Ratings Gain, 'Hart of Dixie' Tops Percentage Gain & 'Intelligence' Adds Most Total Viewers in Week 21 - Ratings | TVbytheNumbers". Tvbythenumbers.zap2it.com. 2014-03-03. Retrieved 2014-04-09. 1 2 3 "Live+7 DVR Ratings: 'The Following' Has Biggest 18-49 Ratings Gain, 'Beauty and the Beast' Tops Percentage Gain & 'Castle' Adds Most Total Viewers in Week 22 - Ratings | TVbytheNumbers". Tvbythenumbers.zap2it.com. Retrieved 2014-04-09.